Jason Petty's performance is scheduled for 7:30 p.m.on Saturday, Aug. 29. Tickets are $15 for adults and $13 for seniors and students. Pre-payment is required. At the door tickets are priced at $20. 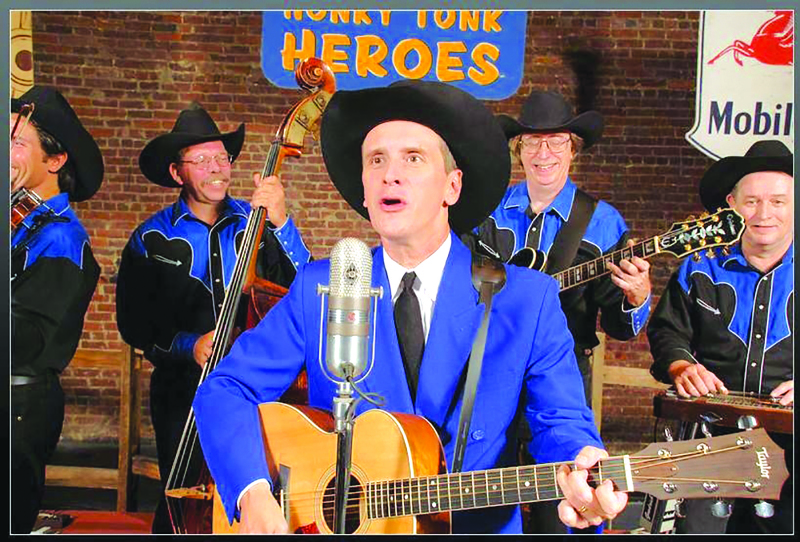 Hank Williams, in the form of award-winning performer Jason Petty, is headed to the Arts Center of Cannon County. Petty has traveled Hank William's path from Nashville all the way to off-Broadway in New York City and now to Woodbury. Yes. After all, Petty lives about 12 miles from downtown Woodbury. It was a call from the Arts Center's Brittany Goodwin that resulted in Petty's upcoming performance. "I'm excited," Petty said. "We tour all over the U.S. and Canada. It takes three-days to drive to California for a show. I'm excited that we are performing so close to home." Petty got his start at Opryland "singing in the shows. It was a great place and what I call a college for entertainers." In his younger days, Petty was featured in a Opryland performance called "Country Music USA." That show traced the roots of Country Music and featured young performers portraying singers like Roy Acuff and Patsy Cline. Young Petty took the stage for one fateful performance as the late Hank Williams. In the audience was the director of a play soon to be known as "Lost Highway." Next thing he knew, Petty was doing what they call a "cold reading" in front of all the executives involved in the upcoming play. He was quickly approached by the director who said: "Would you like to be Hank Williams? I said yes." "Lost Highway," ran for a year at Nashville's Ryman Auditorium during 1996-97. Then the musical hit the road with Jason the only actor to portray Hank Williams in what became an off-Broadway hit in New York City. Petty won an Obie (the Off-Broadway version of the Tony) for best actor and scored multiple nominations for his NYC performances. He received literally hundreds of reviews from the New York Times, Billboard, Rolling Stone, Entertainment Weekly and other major publications and wowed thousands of fans. He also won praise from a more select crowd, the musicians who played with the real Hank Williams like the late Don Helms who was a member of the Drifting Cowboys. "I played with Hank for many years and I was his best friend. No one in my time has come closer to Hank's look, sound and natural charisma than Jason, he's the best, hands down," Helms said. Petty will perform "Hank and My Honky Tonk Heroes" at the Cannon County Center for the Arts. This performance showcases Jason's uncanny ability to capture the sounds of Hank Williams. The show takes audiences back in time to the very beginnings of country music and pays homage not only to Williams, but also to other country legends, such as Jimmie Rodgers, Roy Acuff, Ernest Tubb, Webb Pierce, George Jones, and many more. In eight years of research on Williams, Jason has had the chance to speak with friends, band members, family, biographers and other Opry legends who knew Hank. His performance is scheduled for 7:30 p.m. On Saturday, Aug. 29. Tickets are $15 for adults and $13 for seniors and students. Pre-payment is required. At the door tickets are priced at $20.